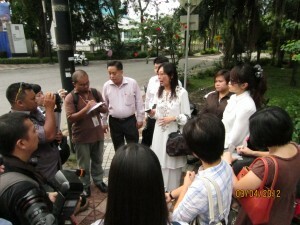 On 11th July 2013, a press conference was held in YB Teresa Kok’s office in Kuchai Lama. At the press conference with YB Teresa Kok were J. Prema and Ganesh J., mother and uncle of the missing person, Jethendran a/l Mahatheven. 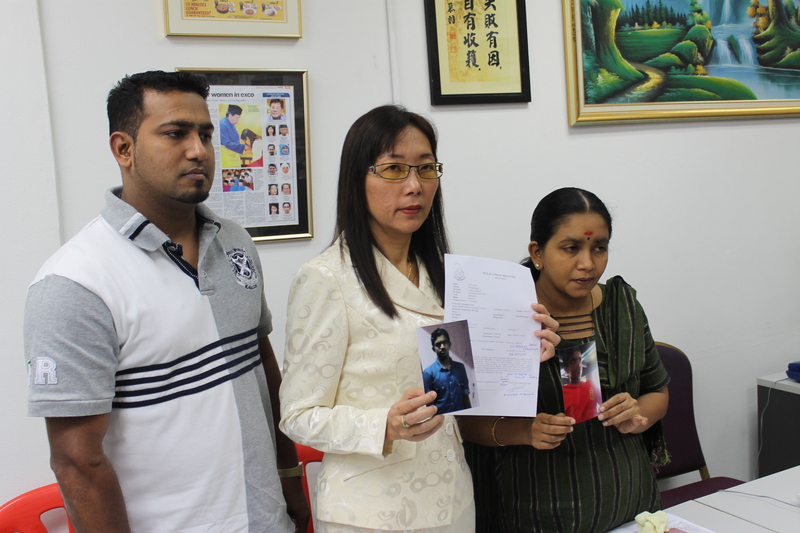 Reporters were informed by Ganesh J. that Jethendran, aged 16, had been missing since 25th January 2013. On 25th January 2013, on or around 12.30pm, Jethendran had gone by taxi to a gymnasium in Taman Desa by himself. On or around 3.45pm on the same day, Jethendran had called his father, Mahathevan a/l Ramu and informed his father that he would be taking a taxi back home. Unfortunately, that was the last time the father spoke with his son. Jethendran’s family members had since lodge a police report. It has been almost six months since Jethendran went missing but to date, there are no news regarding the whereabouts of Jethendran. I am disappointed to receive two rejection letters from the Parliament Secretary, at the start of this Dewan Rakyat sitting, on questions I submitted for the current session. These rejections were based on the Parliament Standing Order 23(1)(h) and 23(1)(g) whereby it is claimed that my questions – on the Scorpene scandal and the PKFZ case – were not allowed in Parliament. This is unacceptable as these questions involve public interest as both the issues have the element of taxpayers’ money being abused or unaccounted for. (2) Why the Transport Minister, with regards to the PKFZ case, ordered payment to KDSB without taking the advise of Port Klang Authority (PKA)’s lawyers and how will the Ministry recover the funds from KDSB should PKA win the RM1.6 billion suit against KDSB. 2) The PKFZ question cannot be addressed because it is an on-going court case. It is, in my view, not a matter of assumptions or prejudicial to a non-existing case nor an on-going case. It is purely a question of whether the government is going to act in the interest of the public in both issues and how are they proposing to investigate and rectify the spending of public funds should there be question marks on it. As for the question on PKFZ, the question that I asked is not related to the on-going court trial, but it is about whether the Transport Ministry will continue to pay RM733 million to KDSB as it has been advised by the lawyer of PKA not to do so. Besides, this is also stated in a book written by former PKA chairman, Dato Lee Hwa Beng. I would like to advice the PM and government ministries not to use Standing Orders in the Parliament when posed with questions that concern the general public. By doing so, this will only lead to the public’s view that this government has much to hide.